TOKYO -- The scandal engulfing Kobe Steel deepened Wednesday as the steel maker said it may have falsified data about two more products, triggering a further collapse in its shares and intensifying concern that compromised material found its way into cars, trains and aircraft. After admitting Sunday that it provided false information about the strength and durability of some aluminum and copper, Japan's third-largest steel producer said data about iron ore powder and another product may also have been faked. Shares plunged 18 percent in Tokyo, with $1.6 billion wiped off the company's market value since the revelations were made. As the affair reverberates across markets, it's a further blow to the integrity of Japanese manufacturers after a string of industrial scandals that's destroyed shareholder value, enraged consumers and incurred the wrath of regulators. Kobe Steel customers from Ford Motor Co. to Toyota Motor Corp. to Subaru Corp. are investigating whether they used the suspect materials and whether safety has been compromised. If you look at previous instances with "companies initially saying it is a single, one-off, it has always expanded to more and more parts of the business," said Alexander Robert Medd, managing director at Bucephalus Research Partnership. "One usually finds out that it is reasonably systematic." 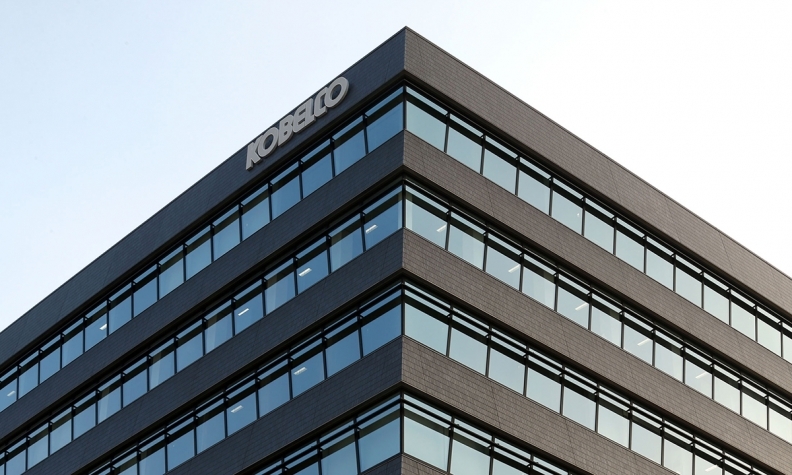 Kobe Steel's research institute found data that may have been falsified for an iron powder product and another that's not aluminum or copper, spokesman Tatsuro Kano said by phone Wednesday, declining to identify the latter because investigations are ongoing. The Yomiuri newspaper earlier reported iron ore powder was compromised, while a Nikkei newspaper report said the institute faked testing data on semiconductor material. A company spokesman earlier said the iron ore powder in question had been delivered to one customer and Kobe Steel didn't see a problem with the safety of the product. As the scandal mushrooms, Japan's government has weighed in. Deputy Chief Cabinet Secretary Kotaro Nogami said the faked data undermined the basis of fair trade, calling it "inappropriate". Kobe Steel CEO Hiroya Kawasaki didn't respond to requests for comment. One estimate from JPMorgan Securities Japan Co. put the potential cost of replacing the copper and aluminum parts at about 15 billion yen ($133 million), but the damage to the company that's more than a century old -- both in reputation harm or possible legal challenges -- may be much greater. Iron ore powder is mainly used in making automobile components, according to Kobe Steel. Powders can be hardened to produce sintered parts, which are used in everything from the engine to the steering mechanism as well as the brakes and transmission, according to JFE Steel Corp., another Japanese producer.